What is developmentally appropriate practice and why does it matter? Do I need to do it in my home daycare? Find out more. We all want to be great parents with super confident kids. Here are some surprising things that actually hurt kids self-esteem. When my daughter was young, I planned to be the perfect mother. I always wanted her to feel secure and happy. What I didn’t know is that a lot of what I did that I thought would help, actually hurts kid’s self-esteem. Social skills come naturally to some of us and not to others. It can be tough to teach kids how to get along with other kids. Helping kids learn to get along and build relationships is one of the most important things caregivers can do for them. Social skills are the key to a successful future. Sometimes it seems like kids just go nuts for no reason at all. Your calm, well-behaved sweetheart turns into a lunatic for seemingly no reason and spoils a perfectly good day. You might be surprised to learn that food and behavior problems in kids go hand in hand. There are so many things that kids eat that can affect their behavior. Why Do Kids Act So Bad When Parents Are Around? Why do kids act so bad when parents are around? Are kids fifty million times worse for parents than anyone else? What Can You Do About It? Why is it that a child can be perfectly fine and then their mom or dad walks in and they go nutso in seconds flat? If you are a teacher, childcare provider or a parent, you have seen them phenomenon over and over again. It baffles parents and providers worldwide. I was a strong-willed child, and I raised one. I know how frustrating it can be to have a battle of the wills with a small child, but there is help! Moms and Dads, there is nothing more challenging than a child with a strong will. 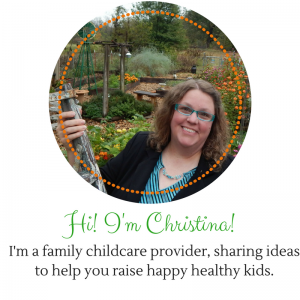 I have kept over 80 children in my career as a childcare provider. Believe me, I have seen strong-willed children. I have loved strong-willed children. Reading to your child is one of the most important things you can do for their development. It has so many benefits for children. The more you read and the earlier you start, the better for children’s learning. Do you think play matters anymore for kids? Over and over again I hear parents saying they want their kids to learn. They mean flash cards and learning to read. Play is the best form of learning. It’s where kids really figure things out. The importance of play for kids is being lost and it’s a dangerous problem. Being outdoors has positive effects on physical and mental health in all ages of people. We need more time outside! The benefits of active play outdoors are innumerable. There is nothing better for a child’s development than being outside.